Our promotions change seasonally and are designed to promote a variety of new and established services, products, and treatments. Please read descriptions carefully. In-house promotions cannot be combined and are not valid with any other offer(s). Unless otherwise stated, all treatments and/or services must be preformed within the promotional period in order to qualify for the discount. If you have any questions, please call the office for further details before scheduling. Summer bodies are not made in the summer. They’re made in the winter & Spring. Let us help with Coolsculpting®! Call today for a no-cost consultation to find out if this revolutionary FDA approved treatment is right for you. Now through 5/31/19 receive 20% off a 4 or more cycle package of Coolsculpting®. Receive $100 off your next dermal filler treatment of 2 or more full-size syringes. Applies to any combination of Juvederm or Restylane family of products. This can also be combined with any Aspire Rewards or Brilliant Distinctions coupons you might have. Would you like to grow your own lashes longer, fuller and darker? If so, Latisse is the product for you. It’s the only FDA approved prescription product proven to grow your lashes in as little as 6-8 weeks. Now, while supplies last, Brilliant Distinctions member can take $25 off their next purchase of a 5mL kit. You must be a BD member and while coupon codes last. Don’t delay. 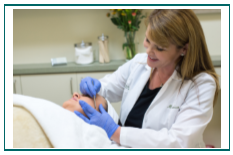 Enjoy 10% off all Dermaplane treatments now through the end of May. Dermaplane is a safe and relaxing treatment that exfoliates the skin, removes vellus hair and leaves your skin looking dewy and refreshed. Sign up for Aspire Galderma Rewards and receive a $20 Welcome coupon for each Galderma product treatment (up to 3) at your initial appointment. Offer valid on Dysport, Sculptra and the Restylane family of dermal fillers. This cannot be combined with other coupons/offers.